Illustration of the dust ring surrounding HD 181327. Credit: Amanda Smith, University of Cambridge. An international team of astronomers have found evidence of ice and comets orbiting a nearby sun-like star, which could give a glimpse into how our own solar system developed. Using data from the Atacama Large Millimeter Array (ALMA), the researchers, led by the University of Cambridge, detected very low levels of carbon monoxide gas around the star, in amounts that are consistent with the comets in our own solar system. The results, which will be presented today at the ‘Resolving Planet Formation in the era of ALMA and extreme AO’ conference in Santiago, Chile, are a first step in establishing the properties of comet clouds around sun-like stars just after the time of their birth. Comets are essentially ‘dirty snowballs’ of ice and rock, sometimes with a tail of dust and evaporating ice trailing behind them, and are formed early in the development of stellar systems. They are typically found in the outer reaches of our solar system, but become most clearly visible when they visit the inner regions. For example, Halley’s Comet visits the inner solar system every 75 years, some take as long as 100,000 years between visits, and others only visit once before being thrown out into interstellar space. It’s believed that when our solar system was first formed, the Earth was a rocky wasteland, similar to how Mars is today, and that as comets collided with the young planet, they brought many elements and compounds, including water, along with them. The star in this study, HD 181327, has a mass about 30% greater than the sun and is located 160 light years away in the Painter constellation. The system is about 23 million years old, whereas our solar system is 4.6 billion years old. Using ALMA, the astronomers observed the star, which is surrounded by a ring of dust caused by the collisions of comets, asteroids and other bodies. 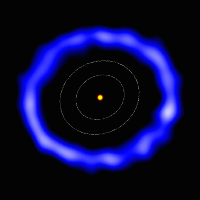 It’s likely that this star has planets in orbit around it, but they are impossible to detect using current telescopes. “Assuming there are planets orbiting this star, they would likely have already formed, but the only way to see them would be through direct imaging, which at the moment can only be used for very large planets like Jupiter,” said co-author Luca Matrà, also a PhD student at Cambridge’s Institute of Astronomy. 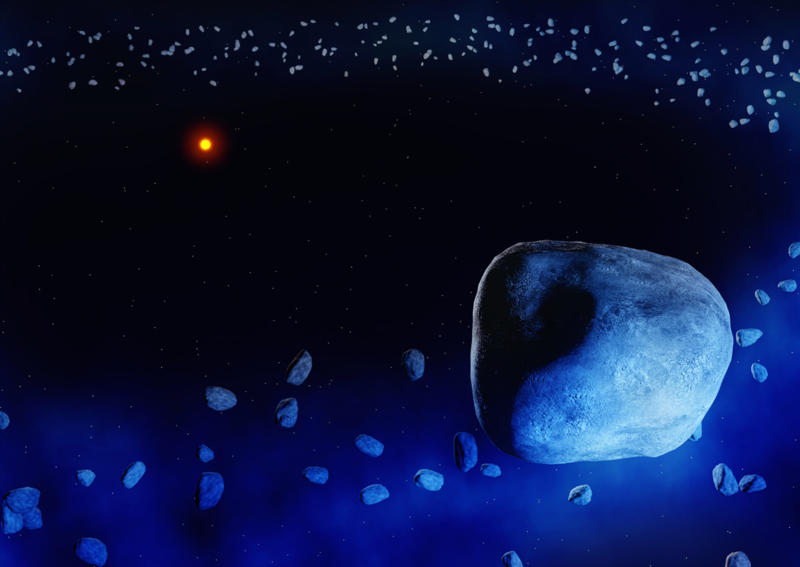 In order to detect the possible presence of comets, the researchers used ALMA to search for signatures of gas, since the same collisions which caused the dust ring to form should also cause the release of gas. Until now, such gas has only been detected around a few stars, all substantially more massive than the sun. Using simulations to model the composition of the system, they were able to increase the signal to noise ratio in the ALMA data, and detect very low levels of carbon monoxide gas. “This is the lowest gas concentration ever detected in a belt of asteroids and comets – we’re really pushing ALMA to its limits,” said Marino. Figure 1: ALMA image of the ring of comets around HD 181327 (fake colors). The white contours represent the size of the Kuiper Belt in the Solar System. Credit: Amanda Smith, University of Cambridge. 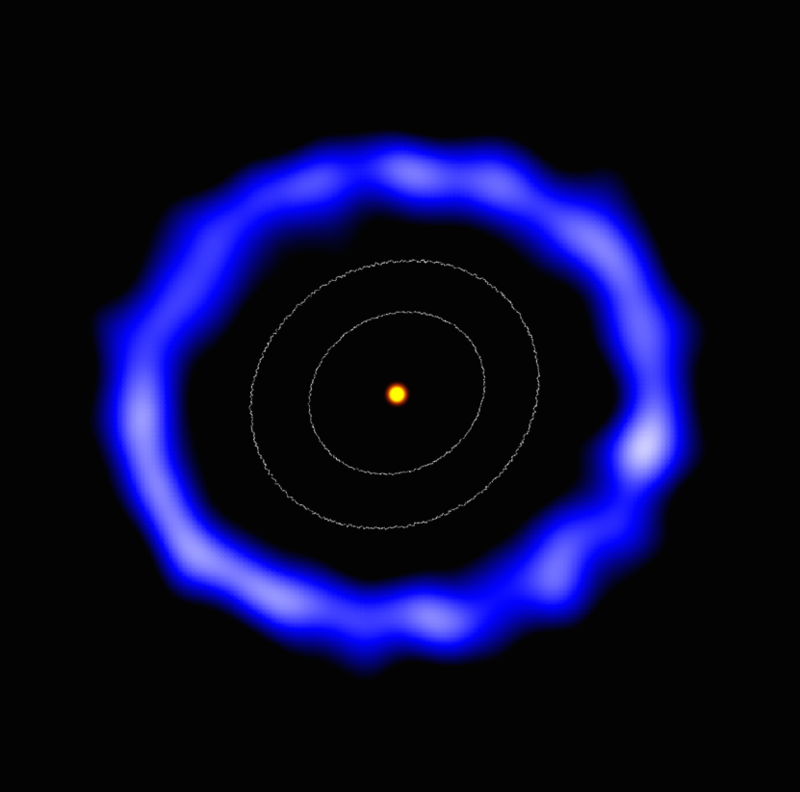 Figure 2: Artist's impression of the dust ring surrounding HD 181327. Credit: Amanda Smith, University of Cambridge.